Dr Tony Lopez was educated in London, England and trained medically at St. Thomas's Hospital (University of London) graduating with a BSc in Biochemistry in 1985 and qualifying with MB BS in 1988. His Postgraduate Medical Education at Northwick Park, Hammersmith, Royal Brompton National Heart & Lung and Royal Marsden Hospitals led to the MRCP qualification in 1991. He was appointed Radiology Registrar at Hammersmith Hospital in 1991 before joining the St. George’s Hospital Rotation as a Senior Registrar in 1993 gaining FRCR in 1994. Experience was gained at The National Hospital for Nervous Diseases, Royal Marsden & Great Ormond Street Hospitals as well as St. George’s Hospital. 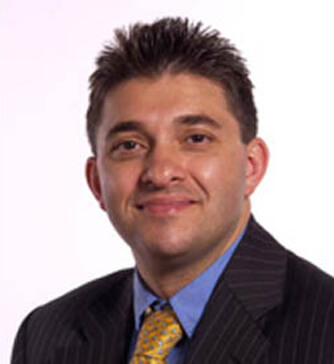 Dr Lopez is a past recipient of British Institute of Radiologist’s and Nuclear Electric travel bursaries, three consecutive Merck Bursaries, a Nycomed Interventional Scholarship (1995) and a Cook Interventional Fellowship (1996) all used to develop his interventional radiology experience. He was also awarded the Reginald G Reid/Graham-Hodgson Scholarship to develop his interest in Endoscopic Ultrasound. He subsequently won the Stanley Melville Memorial Award in 1996 at The British Institute of Radiology to study at The Karolinska Institute, Stockholm where he consolidated his specialist interests in Gastrointestinal Endoscopic & Cancer Imaging. He was appointed Consultant at Royal Surrey County Hospital and St. Luke’s Cancer Centre in 1996 with a major interest in Interventional Radiology and subspecialty interests in invasive coronary angiography & gastrointestinal endoscopic intervention. Dr Lopez was appointed lead radiologist in 2002-6 and is currently lead interventional radiologist in the department.